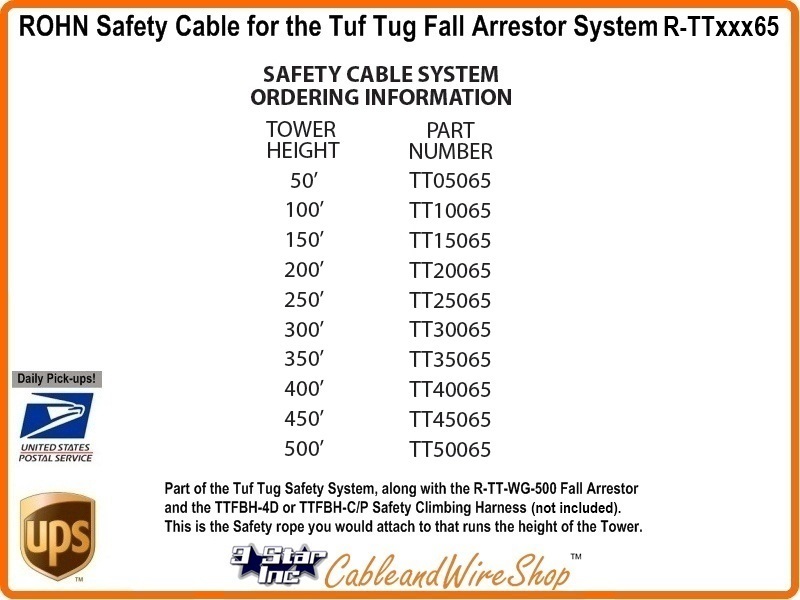 Note: This Tower Climbing Safety Cable System is for up to 100 feet in Height. Other Systems in this Product line reach 50, 100, 150, 200, 250, 300, 350, 400, 450 and 500 feet in height. Trust No Substitutes. Buy ROHN. Buy American.